Deer Alliance, originators of the Hunter Competence Assessment Programme (HCAP) and running HCAP since its introduction in 2005, have announced a series of new programmes commencing in 2016. Cost has not yet been finalised but will be in the range €300 – €350. Participation will be limited to a maximum of thirty candidates on each course. Booking will be through the Deer Alliance website early in the New Year. The ADMC is designed to be relevant to policies currently under examination by the Irish Deer Management Forum as well as to safe, efficient and humane control and conservation of wild deer with particular reference to farm and forestry stakeholder interests. It is seen as a natural extension to HCAP for those licensed hunters with deer management responsibilities on farmland and forestry for both private landowners and Coillte Teoranta.Successful Candidates will be presented with the Deer Alliance Advanced Deer Management Course Certificate. The Advanced Marksmanship Course (AMC) The purpose of the AMC is to add to the value of the basic HCAP qualification for HCAP-Certified Candidates and to underpin safe, efficient and humane control of wild deer through accuracy and consistency of control methods used by qualified persons. The intended audience is the universe of HCAP-Certified candidates, being fully insured holders of valid Firearms Certificates for deer rifles of a calibre not less than .243, bullet weight 100 grains and muzzle energy not less than 2100 foot-pounds. Duration will be over one day, including half-day of lectures and half-day on the Firing Range. Cost will be €100.00, with entry restricted to HCAP-Certified Candidates only. • 5 (five) rounds standing, rested. • All on HCAP Deer Target, killing zone Heart & Lung area. • Normal Stalking Aids only, to include standard thumb-sticks, commercial stalking sticks, bipods and tripods.  • One Repeat only on the daySuccessful Candidates will be presented with the Deer Alliance Advanced Marksmanship Course Certificate. The purpose of the FCC is to offer a fully validated Competency Standard for first-time Firearms Certificate Applicants (Rifled Firearms and Shotguns). The intended audience is the universe of first-time applicants for certificates for rifled firearms, including rim-fire and centre-fire calibres, for target and/or competition use, vermin control or hunting of wild deer under licence; and for first-time applicants for certificates for shotguns for game shooting. Duration will be one day, including half-day of lectures and half-day of practical demonstration of safe handling of firearms. The practical hands-on element of the FCC will include firearms handling for beginners, including safe handling of Rim-Fire and Centre-Fire rifle calibres and Shotguns. Participants will be certified as having attended for purposes of a first-time Firearms Certificate application, as currently required by the Garda Siochana.HUNTER COMPETENCE ASSESSMENT PROGRAMME (HCAP)In addition to the three new Courses, Deer Alliance HCAP Assessment will continue to be provided in 2016, including optional Training Workshops offered on the same day as each HCAP written examination and which have proven highly successful since introduction in 2013. The cost of HCAP will increase to €150.00 on 1st January 2016, the first and only cost increase since 2006. Booking for HCAP is open now through www.deeralliance.ie. Applications for HCAP received before 1st January 2016 will be honoured at the existing cost of €100.00. Enquiries by email to deeralliance@gmail.com or by ‘phone to 086 1927 845.